Blue like an Orange Sustainable Capital is developing and joining a network of strong businesses and organizations across the globe. The following is a list of Blue like an range Sustainable Capital’s main networks affiliations and partnerships. 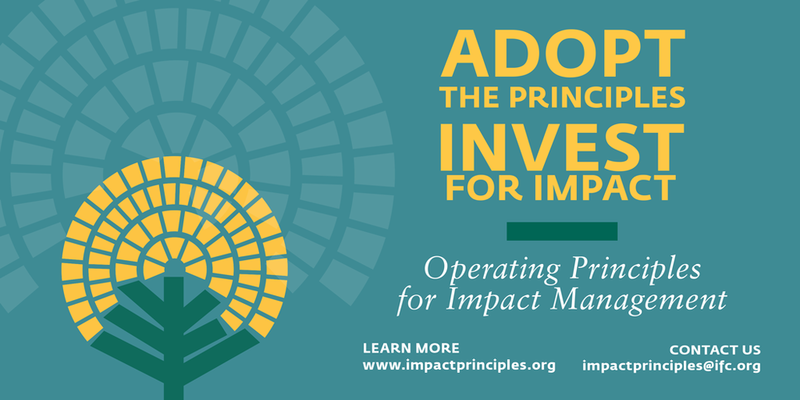 Blue like an Orange adopted the Operating Principles for Impact Management. At Blue like an Orange, we are committed to making a positive impact in the world. Blue like an Orange through its entity Blue Orange Capital LP is now a United Nations-supported Principles for Responsible Investment (PRI) signatory. Blue like an Orange Sustainable Capital Fund SICAV-SIF SCS was granted the LuxFLAG ESG Label for its Sub-fund Blue like an Orange Sustainable Capital Latin America Fund I for the period starting on 01 April 2019 and ending on 31 March 2020. “The LuxFLAG ESG Label is recognized for high standards and rigorous assessment of applicant investment fund’s investment strategy and procedures with respect to Environment, Social and Governance (ESG) matters. We are pleased to announce that Blue Like an Orange Sustainable Capital Fund meets the eligibility criteria of the Label and has been granted the use of LuxFLAG ESG Label for a period of one year starting on 01 April 2019”, Sachin S Vankalas, Head of Operations and Sustainability at LuxFLAG. Blue like an Orange Sustainable Capital is a member of the Global Impact Investing Network (GIIN). Our membership signifies a commitment to deepening our engagement in the impact investing industry. A co-financing framework agreement has now been signed between Blue like an Orange Sustainable Capital and Inter-American Investment Corporation (IDB Invest). IIC and BlueOrange Capital signed a memorandum of understanding to promote economic development in Latin America and the Caribbean by providing additional capital to entrepreneurs. It aims to mobilize $1 billion for Latin America and the Caribbean.